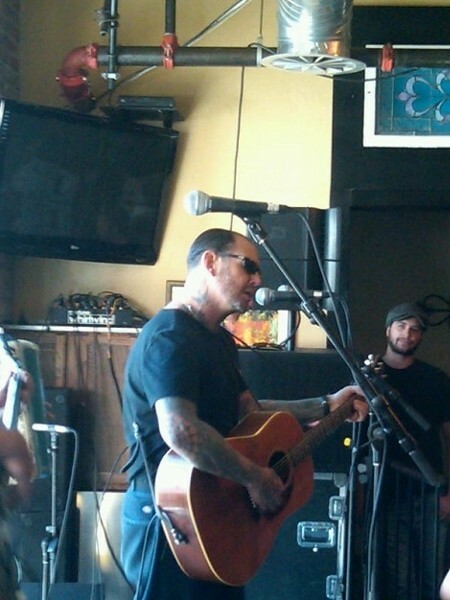 The Social D set was short and sweet, and seemed to satisfy the crowd of 300-plus that crammed into the front room of the West Temple bar for a noon show, while 100 or more were left wanting outside. 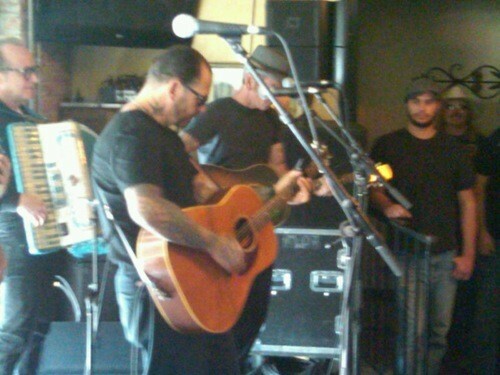 Social Distortion launches its fall tour officially Thursday night at the Great Saltair. Ness took the stage with a three-piece band including bass, another guitarist and an accordion, and proceeding to knock out favorites like the opening cover of Johnny Cash's "Ring of Fire," "Cold Feelings" and "Ball and Chain," whose lyrics he amended from "I've been drinkin' from half-past noon" to "drinkin' with Utahns all afternoon." Kudos to Ness for actually knowing the word "Utahn." "We're going to try a song we haven't played in a long time" was Ness's way of introducing "Down Here (With the Rest of Us)," and after "King of Fools," he said, "Normally this would be too early for rock and roll." Met with a thunderous roar from the beer-guzzling crowd, Ness conceded, "You caught us on a good day" before launching into "Reach for the Sky." And with that, about 40 minutes after they began, Ness and Co. scurried off through the crowd to prep for the evening's gig with Lucero and Frank Turner.